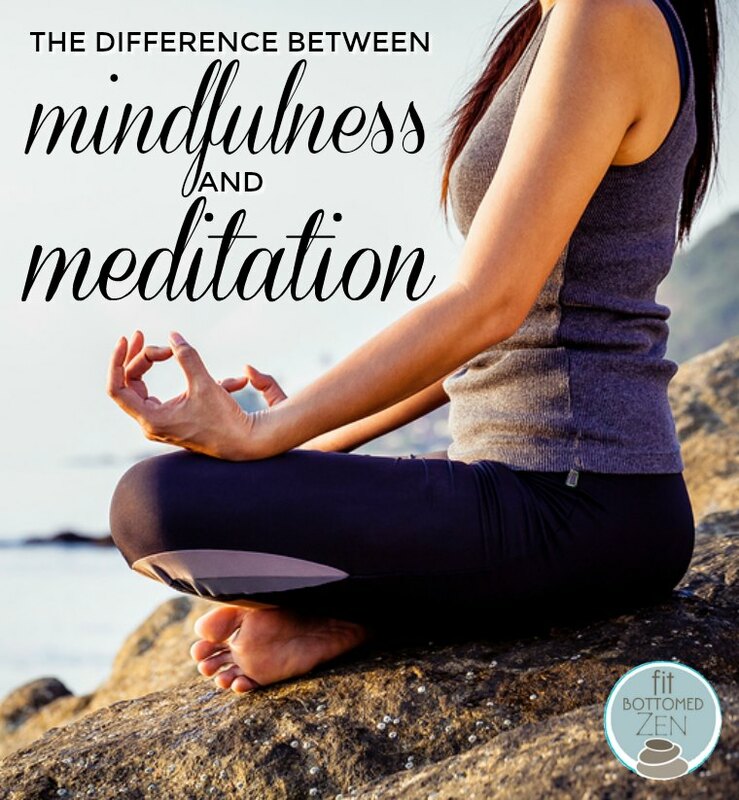 There’s a lot of talk about mindfulness and meditation these days, and often there is confusion about what they both mean. Do we meditate to be more mindful? Or is mindfulness a type of meditation? The short answer to both of these questions is yes. We can meditate to be more mindful, and mindfulness is a type of meditation. If this is starting to make your head explode, don’t worry because I’m going to break it down. Mindfulness means presence. When you are practicing mindfulness you are working to be more aware — both of the surroundings in your life, and within yourself. You can practice mindfulness with everything you do. So if you are at home folding laundry, you would bring total awareness into your body, your mind and your laundry. Your attention would be only on the task at hand — folding laundry — so you are completely engaged with this activity. You are 100 percent present. You could also practice mindfulness with your behavior. This means that you are conscious of how your words and actions affect those around you. For example, rather than immediately reacting to a situation with the first thing that comes into your head, you would slow down your reaction time, and consider not only what you say or do, but also why you say or do it. When you practice mindfulness you create intention behind your words and actions. Mindfulness is also a type of meditation, which we will get into once we define meditation. Meditation is an activity that you set aside time in your life to practice. While the techniques of meditations vary, each one serves to bring awareness to your mind, body and life — like mindfulness. With meditation there is a clear beginning and end. Often you would set a timer to delineate these boundaries, and since the mind likes to wander in meditation, it’s important to have an anchor for your attention. What you use as an anchor is often dependent upon which technique of meditation you are using. One style of meditation is mindfulness meditation, which aims to help you pay attention to your experiences (both inside and out) with acceptance, patience, and compassion. It’s the idea of mindfulness as defined above, but within the practice element of meditation. So mindfulness can be your meditation style. You could have a sitting practice of mindful meditation where you come to your cushion, focus on your breath and drop your mind and body into the present moment. Mindfulness can also be your practice that you embed into your life at all times. Whether you’re walking the dog, doing the dishes or taking a shower, you would intend to immerse yourself into the activity and keep your mind and body engaged in the moment. In both situations — mindfulness and meditation — you practice for presence. With meditation, it’s a bit more formal because you’ve created time for it, while with mindfulness, it’s more fluid, which gives it a lower barrier for entry.